Fourteen years is a long time. It was in August of 2003 that I decided to make my way to Central America from Denver, Colorado with the goal of surfing in La Libertad. I didn’t know much about the city, but a passing reference in my tattered copy of Let’s Go had me convinced that I had to get there. It was, as I was told, one of the best “hidden” surf spots on the planet. It seemed the perfect place to hit on my last week of freedom before I started law school. There was only one problem: I really can’t surf. The thing is, as a child I took up surfing right before my family moved from Hawaii to Michigan, and I hadn’t really considered the fact that surfing wasn’t really like riding a bike. You couldn’t just pick it up where you left off. 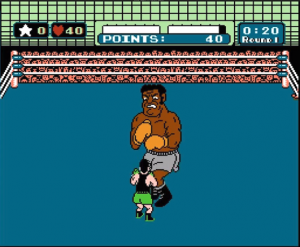 No, surfing was like fighting Mr. Sandman in Punch Out. No matter how good you were as a kid, it’s not something you can just pick up after fifteen years away from the ocean/NES. So in the summer of 2003, with just weeks before I was to start law school, I decided to make my way to El Salvador and try and shake off some ring rust. There were numerous problems with this plan, the most notable was that even as a kid I wasn’t exactly what you’d call a “surfer.” I was just a kid who started learning the ropes…and then quit. Basically I was still fighting Glass Joe on the surfboard before I left for Michigan. But even with that being said I figured a week of sitting on the beach in La Libertad would at least get me somewhere around King Hippo. 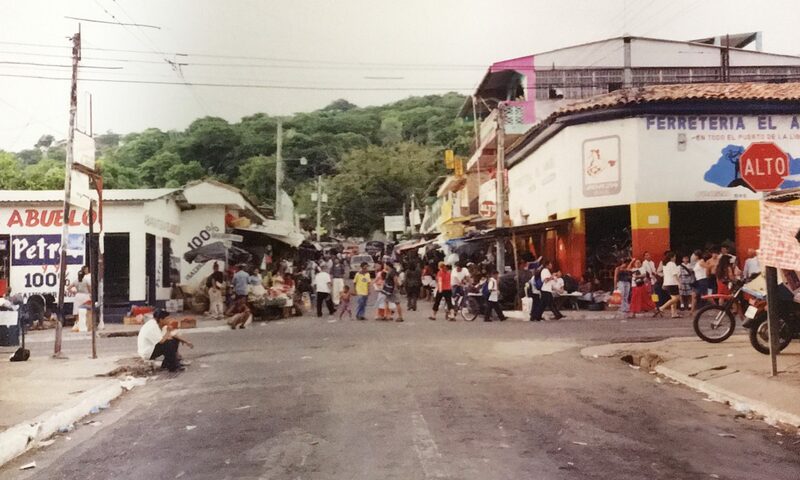 Besides, I had recently become fascinated by El Salvador thanks in large part due to the Oliver Stone movie Salvador. Salvador remains, in my opinion, one of the most underrated films of all time and in 2003 it was a film I had seen at least two dozen times. I wanted to visit the country that had just emerged from the Civil War only eleven years prior. 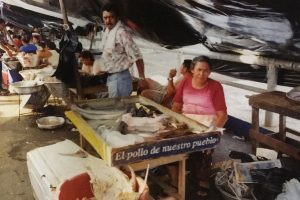 I had an agenda of spending a day in San Salvador, spending several days in La Libertad, and making my way up to Perquin to go to the Museum of the Revolution in the former FMLN stronghold in Northeast El Salvador. But I also wanted to recreate one of my favorite travelling experiences of my life: backpacking through Europe as a college student. So with less than two weeks in Central America I elected to fly into Belize, take a bus to Tikal Guatemala, another bus to El Salvador, and then make my way to Honduras and then back to Belize. Needless to say it was way to ambitious to accomplish. But it was an amazing experience nonetheless. After a fun couple of days in Belize and then an amazing adventure in Guatemala I was set to hit the road to El Salvador. 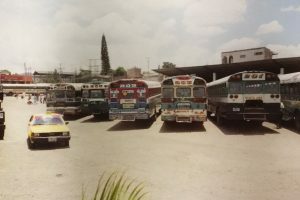 I purchased a bus ticket in Guatemala City to El Salvador with Confort Lines for under $20 and was on my way. But this was 2003 and my outdated Let’s Go guide wasn’t up to date on the fact that El Salvador had adopted the U.S. Dollar as it’s currency. 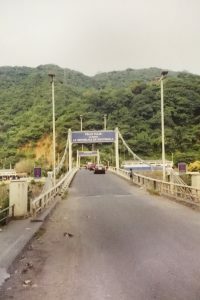 As we made our way to the border I remember frantically trying to find someone to change my dollars into Salvadoran money, much to the confusion of everyone on the border (this is a good place to mention that in 2003 my Spanish was non-existent). But I soon discovered that the Salvadoran reputation for hospitality was entirely deserved. After some issue with paying an entrance fee in El Salvador (I don’t remember the particulars, just I was required to pay something in U.S. Dollars and I couldn’t find my American money, only the money I had already changed in Guatemala) a woman on the bus offered to cover my fee. I recall it being around $5…not exactly pocket change in El Salvador. By the time we got back on the bus I had found my secret hiding compartment in my backpack where I stuffed my American dollars and tried to pay her back. She refused to take payment. I also had a chance to speak to a student who sat next to me on the bus and this guy seemed legitimately stoked that I picked El Salvador as a tourist destination. By the time I reached San Salvador I was ready to check into my hostel: Ximena’s Guest House. I was able to book a dorm room for $4 and found myself bunked up with a group of hippies in what appeared to be a room built out of corrugated metal sheets on top of the roof. Still, in 2003 I still lived for the hostel experience and this place seriously out-hosteled just about every hostel I ever stayed at. After heading to a local bar with some Peace Corps volunteers I was ready to call it a night and make my way to La Libertad in the morning. The bus ticket to La Libertad ran me $0.46 and by the time I made it to La Libertad I was finally starting to hit my limit. I decided to spend the first day just wandering around the town and maybe doing a little swimming. I quickly learned an important lesson about not swimming in the ocean if nobody else is…it usually means they know something you should. Although I nearly drown when the riptide started to pull me out to the middle of the Pacific I nonetheless was determined to rent myself a surfboard and live my own Endless Summer adventure the following day. I found a guy who ran a small surf shop and rented a board from him and asked him to give me a refresher course on surfing. I don’t remember his lesson after 14-years but I do remember at one point he did advise me to paddle and then stand up. That seemed like a good plan of attack. Needless to say, my lack of surfing skills ensured that I didn’t have the most productive day on the surf board…but right when I was ready to give up it happened. One wave…just one. It wasn’t the biggest wave of all time, but it was mine. I caught it and rode it for a good fifteen seconds. I finally caught my wave in El Salvador and for about fifteen seconds I was on top of the world. Fifteen seconds to turn my trip to Central America into a complete success. Fifteen seconds and one (very small) wave that made El Salvador the perfect adventure to start my law school career. But if I only ended up on the beach in La Libertad I don’t think I would complain about that either. 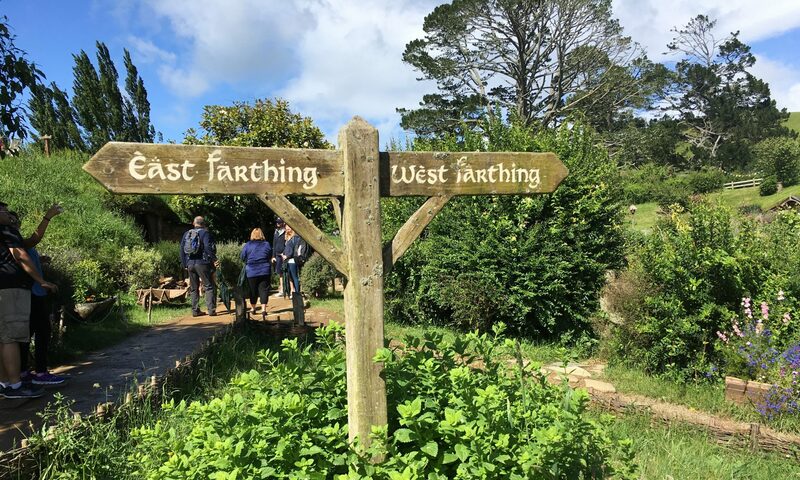 Read More Finger Post Travel stories here! No problem! It’s a fun place and I’d recommend it to anyone who is traveling to El Salvador. Great read! My son and I went here to surf two years ago,and we are heading back int wo weeks! World class wave and a fun, tourist free city. We stay in el Tunco, 15 minutes North as it is a quiet beach town, and has a great wave as well, but not as good as La Libertad. We take the bus each morning to surf La Libertad, than back to El Tunco.